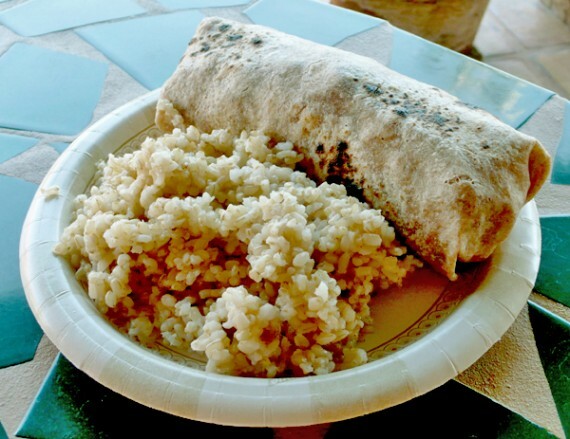 vegans from los angeles may have a hard time finding food in palm springs. after all, we have been completely spoiled in this city with a huge amount of vegan restaurants options. still, there are two places not to miss in the desert—one is native foods, and the other is nature’s cafe. located inside a health food store, nature’s cafe is a very vegetarian/vegan-friendly counter with friendly staff and excellent food. they have a whole section dedicated to vegan selections on the menu, and the workers are very knowledgeable about what other items can be veganized. we stopped by nature’s cafe on our way back from coachella, and were blown away by how delicious our meal was. i’m talking exceptional, large portions packed with vegetables and cooked to perfection. even better than most of the stuff i can get back home in LA. my husband got the tofu burrito which was listed under the “breakfast” section of the menu, and was stuffed with scrambled tofu, black beans and sauteed vegetables like broccoli and cauliflower. the vegetable selection was a bit odd for a breakfast burrito, but worked really well and was a welcome change. 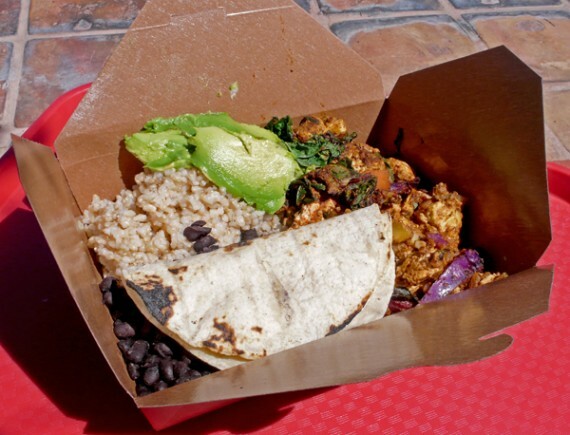 i ordered the tofu ranchero, which was absolutely huge and consisted of scrambled tofu, avocado, corn tortillas, black beans, rice, kale and assorted vegetables all packed into one box. incredible!